The Fali Chothia Charitable Trust is accepting applications for its 24th annual scholarship awards. 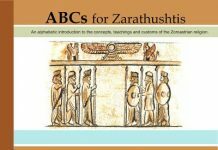 Scholarships are open to Zoroastrian students in North America enrolled in four-year or graduate-level programs. Awards are based on financial need, academic achievement, extracurricular activity and community service. They are given as outright gifts or no- and low-interest loans. To demonstrate solidarity and trust between organizations while serving community causes, the US Chapter of the World Zoroastrian Organisation is once again joining the Fali Chothia Trust’s Scholarship Program. 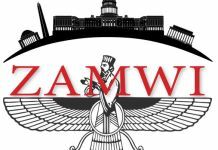 This partnership enables the Trust to significantly increase the amount of its scholarships.The Fali Chothia Charitable Trust was established in 1988 under the Zoroastrian Association of Metropolitan Washington, Inc. (ZAMWI). The Trust provides scholarships to deserving Zoroastrian students enrolled in universities in North America, regardless of their country of origin.